Seacourt Hall, Chapel Way – see the Seacourt Hall website for details. Contact Eric Batts on 07452 960100 or seacourt.hall@googlemail.com to make a booking. Fogwell Road Sports Pavilion – contact Gail Higgs on 01865 864141 or gailhiggs@tiscali.co.uk. SS Peter & Paul Church & Hall, West Way – see their page on A Church Near You for more details about the Church in general. Contact Mr M Shearan on 01865 862748 to make a booking. Botley Baptist Church Hall, Westminster Way – see the Botley Baptist Church website for more details about the Church in general. Contact Rev. Kalyan Das on 07841 867967 to make a booking. St Andrew’s Church & Hall, Orchard Road – see their page on A Church Near You for more details about the Church in general. Contact Sue Allwright on 01865 864991 or susan.allwright@btinternet.com to make a booking. The Rosary Room, Yarnells Hill – contact Parish Office on 01865 247986. Located next to Our Lady of the Rosary RC Church. 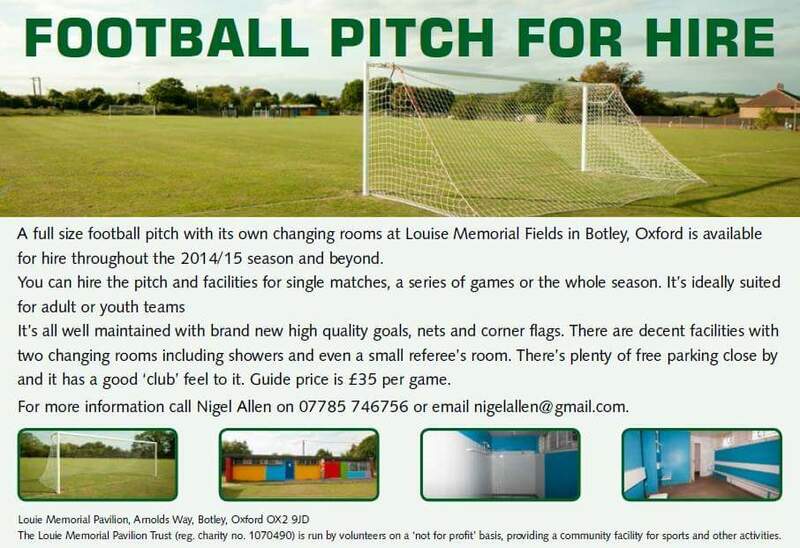 Botley Women’s Institute Hall, North Hinksey Lane – contact Val Warner on 01865 245273. In addition to the above venues it may also be possible on occasions to hire rooms in one of the three local schools. Contact details can be found in the Schools section of the Services Directory page. Use the listing and map on this page to identify a suitable venue for your organisation’s meeting, talk, workout or whatever you get up to then telephone or e-mail the named contact for further details or to make a booking. If you are responsible for managing a local venue and somehow we’ve left you off the list or there are errors in your listing please e-mail us at info@botleyhinksey.org.uk with details and we’ll put it right.